GroupeMaskatel is a regional provider located outside of Montreal, offering residential and commercial voice, video and data services in Saint-Hyacinthe, Drummondville, St. Rosalie and Notre-Dame-du-Bon-Conseil, Quebec. A well known telecommunications company that offers the Internet access with speeds of up to 1 GB of data each second, along with the television as well as the digital telephony services for residential and commercial customers. The company also operates a community cable channel, ZoneTV, which broadcasts each day for constantly 24 hours for customers in Drummondville, Saint-Hyacinthe, and different other nearby areas. The headquarter of the company is located in Saint-Hyacinthe and have a total of 4 telecommunications companies in 2015 which are made to expand its area of service in the Quebec. With these strategic and complementary acquisitions, Maskatel is currently in a period of great growth. Maskatel specializes in Internet services, data services, colocation services, telephone services and corporate television services, and offers highly reliable fast solutions for access, point-to-point connectivity and business continuity. Maskatel owns and operates its own multi-regional fiber optic network in the province of Quebec. Its headquarters is located in St-Hyacinthe. In recent years, Maskatel has invested tens of millions of dollars to achieve its goal of deploying a fiber optic network and improve its offer and customer experience. Groupe Maskatel LP launches Internet packages at unparalleled speeds in the region and at very low prices, for example, right now it has a package for unlimited internet at only $ 38.95, television with basic service from $ 25 and long calls. distance starting at $ 25.16. Commercial and residential customers will have access to an Internet connection of up to 1 gigabit per second (Gb / s). The new packages will be offered at the end of June in the municipality of Saint-Guillaume and in certain areas of Drummondville and Saint-Hyacinthe. The deployment will continue gradually due to the drop in all the areas served by the company in Montérégie and Center-du-Québec (where technology allows it). All new packages offer higher download speeds, such as loading. Residential packages range from 25/10 megabits per second to 1G / 100 megabits per second, with unlimited download capacity. Business plans will vary from 25/25 megabits per second to 1G / 250 megabits per second. 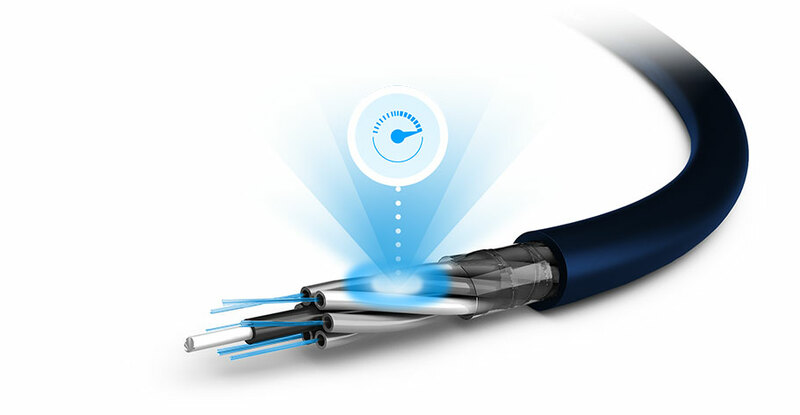 A connection of 1 gigabit per second guarantees the user’s optimal fluidity at all times, regardless of the provider or the type of content. It is also the guarantee that the connection will satisfy the additional needs that will surely be added due to the rapid evolution of the content and applications. St – Hyacinthe QC . Drummondville , QC St-Hyacinthe, QC. – J2S 7S3. – J2C 3Y2. – J2S 7S3. To deal directly with the company, you can go to the following address: 780 boul Casavant O, Saint-Hyacinthe, QC J2S 7S3. If what you prefer is to make a simple query, do not hesitate to call the phone, you just have to call 450-250-5050 and you will be attended by an operator who will answer your questions and not being able to resolve them will direct you with a person trained company that can help you.